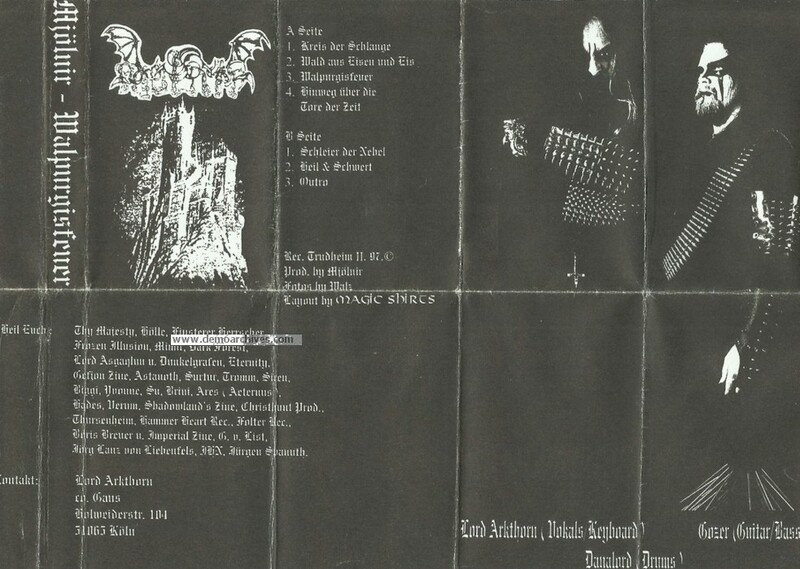 Black Metal band from Cologne started in 1991. They have out their first self-titled demo in 1995. 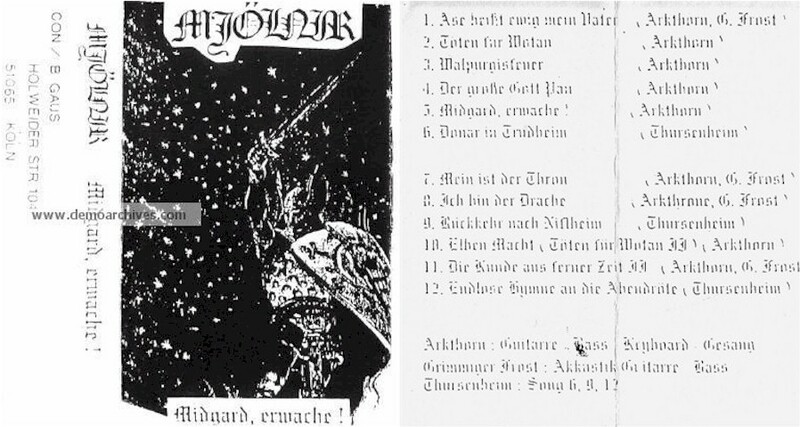 Two more demos was released in 1996 : "Midgard, Erwache!" 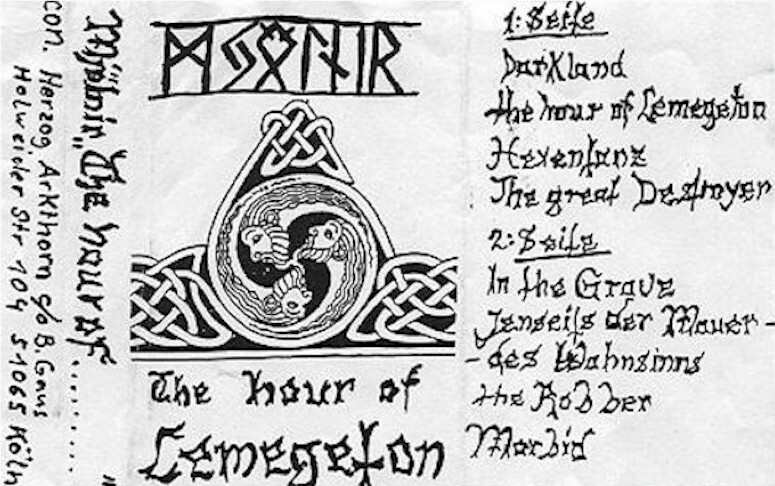 and "The Hour of Lemegeton". 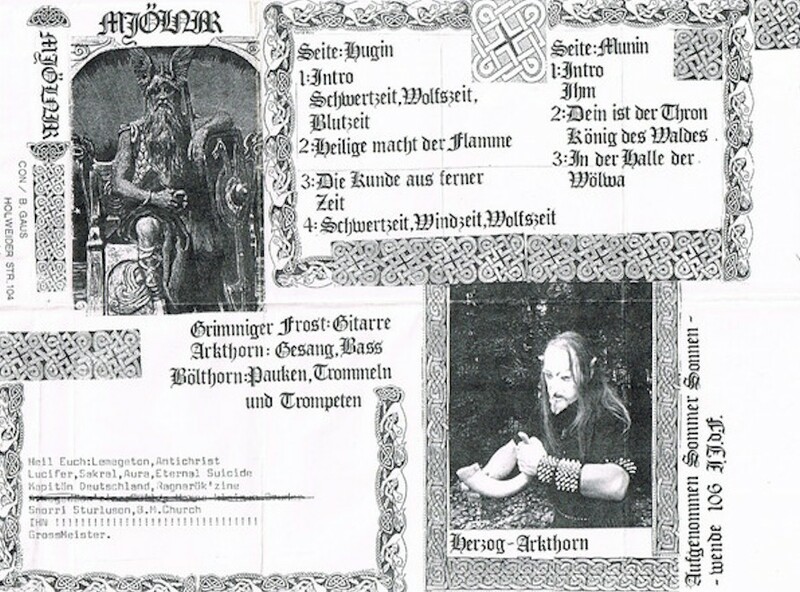 The last solo demo, "Walpurgisfeuer" is out in 1997, and the same year, a split-demo with the German band Antichrist was also released. "Hinweg über die Tore der Zeit" is their only full-length and was released in 1999 by Darker Than Black Records. Xerox cover with a black tape.